The Liverpool Central School District (LCSD) is committed to being a leader in public education by providing the best opportunities for students to achieve academic and personal excellence. The district’s mission is to provide a safe learning environment and buildings to support the education process. 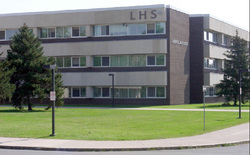 LCSD is a public school district in a suburban community near Syracuse, New York with an enrollment of about 8,500 students. The district manages 15 schools, a district office, and transportation and maintenance buildings containing over 3,000 pieces of equipment and processes approximately 350 work order/preventive maintenance requests per month. The CMMS owned by the district was not meeting the evolving needs of its users. It didn't match their workflow process and offered no technical support. LCSD made the decision to “invest in the future versus save from the past” and set out to find a replacement system. Liverpool Central School District searched for a CMMS with the features they considered to be ideal, including affordability, ease of use, and unlimited IT support. Q Ware provided LCSD a solution to meet their needs with easy implementation, an extremely user friendly interface, and dedicated assistance with training and support. Q Ware helps LCSD provide better communication throughout the entire district. Since the implementation, LCSD has a higher level of credibility with their Operations and Maintenance Departments. It has simplified their maintenance process and only takes 20-30 seconds to create a work order. Because the implementation was thorough and streamlined, the school district was up and running within hours.